Trivia: I just wanted to say to people, don't stop watching when the credits start to roll! Everyone I've spoken to has walked away when the credits come up; stick around just a few minutes more for a little something extra. Trivia: Actress Vanessa Morley, who plays Samantha Mulder in the series, makes a cameo as an agent walking past Mulder and Scully at the headquarters. Question: Just need to check on this. I just saw the new X-Files movie last week and believe that I saw a funny mistake in the movie. At a certaian part in the movie Mulder goes to call Scully on his cell phone and when he gets to her name it in fact says Gillian not Scully. Anyone else see this? Chosen answer: Sadly, it's not true - already been submitted and corrected. When we see the screen, it reads "Scully" correctly. All the other names on the screen are surnames of crew members who worked on the TV show, including, immediately underneath Scully's name, Gilligan, for Vince Gilligan, a writer on the show. Understandably, given the brevity of the shot, this is easily misreadable as Gillian. Question: Why did the Russian man keep kidnapping women (not men) for the doctors to attach the bald Russian man's head to? Chosen answer: Women are easier to overpower and abduct. Question: At the end of the movie was a dedication to a man, I believe the name was Randy Stone or something. Does anyone know who that is? Chosen answer: Randy Stone was Head of Casting at 20th Century Fox Television and part-time actor. 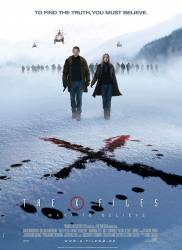 When Chris Carter created the X-Files, it was Randy who cast Gillian Anderson and David Duchovny as the leads, Agents Scully and Mulder. A few years later, Randy's connection to Chris Carter continued with Carter's new creation Millennium, which he also cast. Randy was 48 when he died suddenly in February of 2007.